Kewpee Hamburgers has been a staple of the Lima community and making it’s residents hearts go flippity flop for nearly 100 years. If you would like to take home a collectible Kewpee item, all you need to do is stop by your nearest Kewpee location and check out these great items! You can also pick up a pack of Kewpee Kewpons, which are the perfect gift surprise gift for your friends and family. When you are getting your favorite morning drink ready, open up your cupboard and reach for your favorite mug as well. 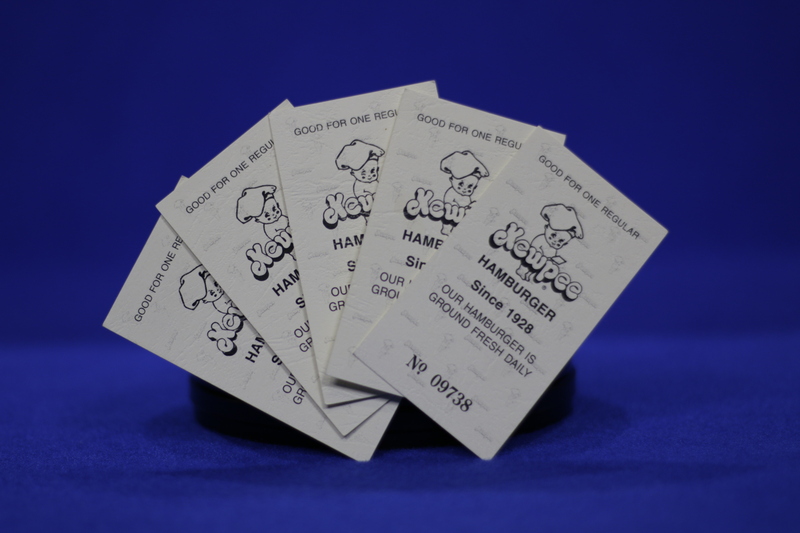 What better way to put a smile on someones face, than with the gift of a Kewpee Hamburgers. Kewpee Kewpons are the perfect gift idea for the hard to buy for person on your list. There is nothing better than a quality hamburger made with beef that is ground fresh daily. May we also suggest pairing your burger with fresh fries, pie or a malt. 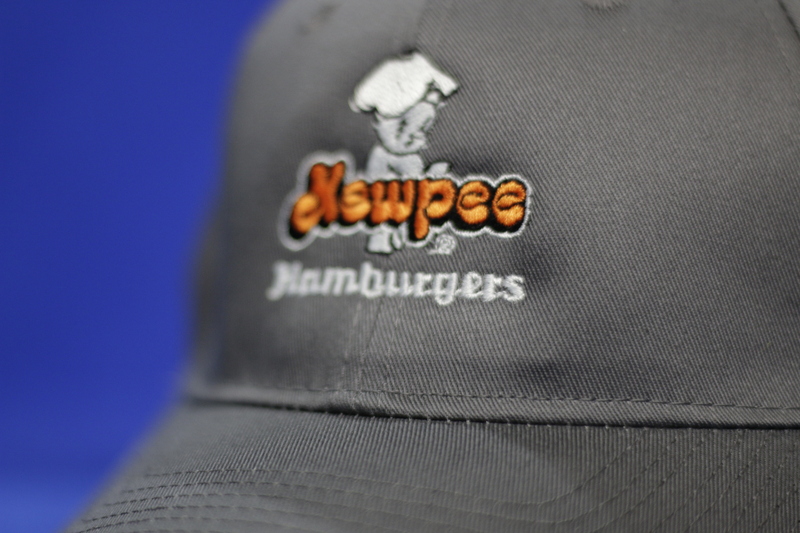 Show loyalty to your favorite local restaurant with a Kewpee Ball Cap. 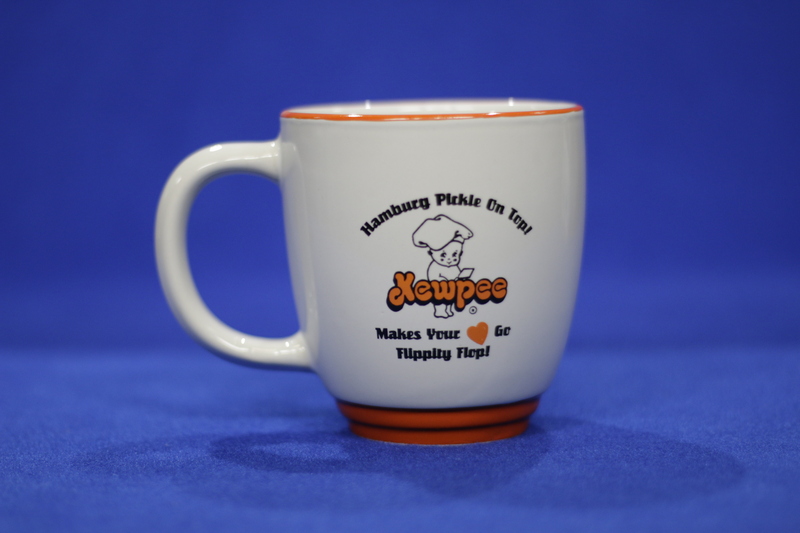 The Kewpee brand is nearing 100 years of operation, celebrate by showing off your team spirit. Bring home the Cats Meow art deco wooden figurine of the Elizabeth St. Kewpee location with a description on the back of how this iconic Lima brand became what is it today. Prices are subject to change without notice. Available for purchase in store only. Prices do not reflect sales tax.